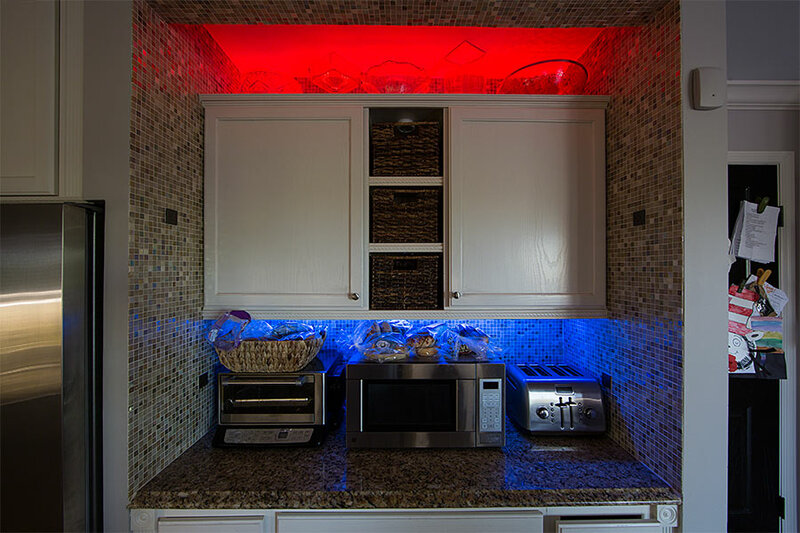 RGBW LED Strip Lights - 24V LED Tape Light w/ White and Multicolor LEDs - Advanced Color Blending - 430 Lumens/ft. 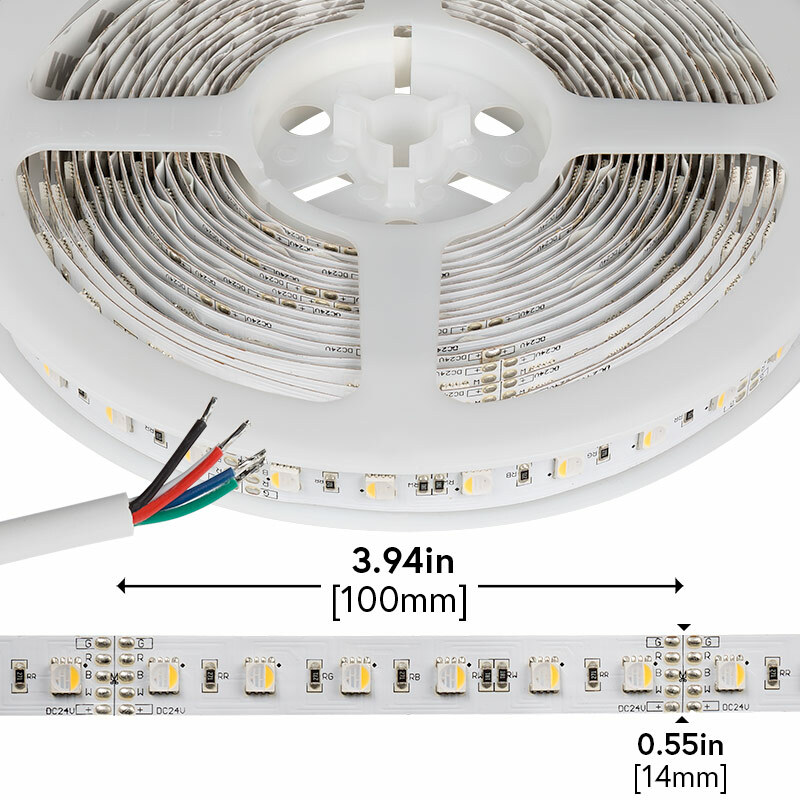 NFLS-RGBxWxX4-24V - LED Light Strips with Multi Color + White LEDs - LED Tape Light with 18 SMDs/ft., 3 Chip RGBW SMD LED: Gallery Of Strip Shown On In Magenta, Yellow, Green, Blue, Red, And Natural White. 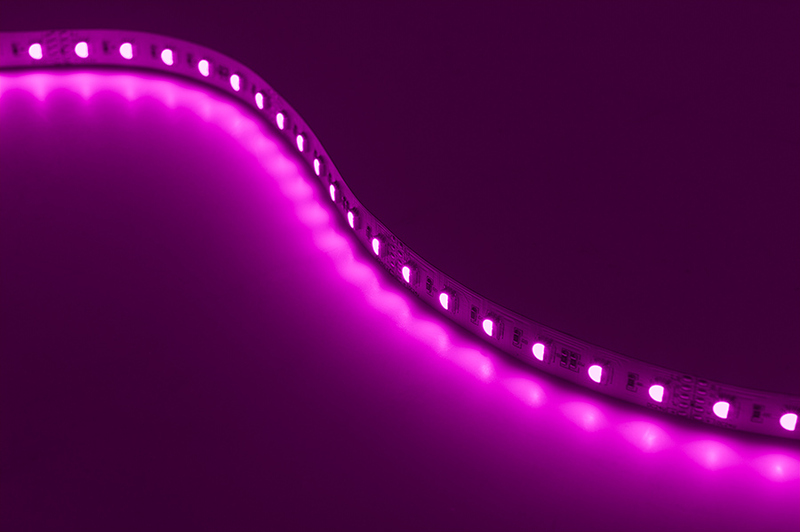 This new, compact 4-Chip SMD LED Strip is the cutting edge in LED Color Changing and Color Blending technology. 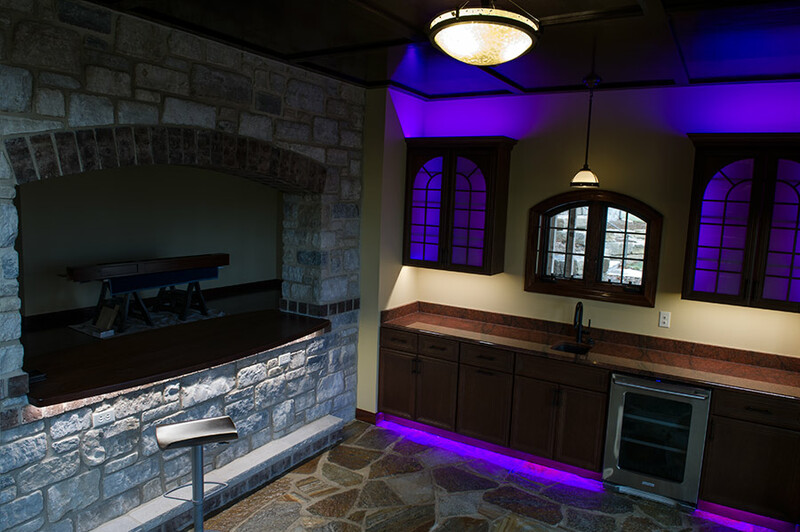 It's perfect for cabinet lighting, under-cabinet lighting, toe-kick lighting, cove lighting, task lighting, bookshelf lighting, showcase lighting, cupboard lighting, and more. 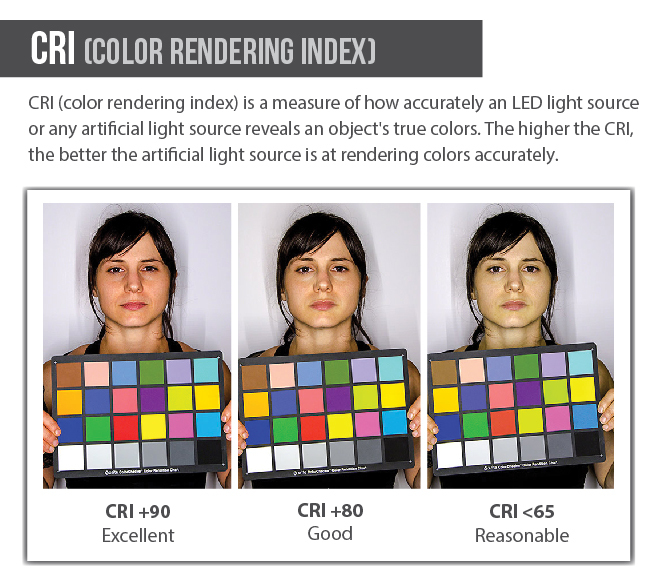 The additional natural white chip opens a new dimension to the RGB color wheel and avoids the strange hues typically associated with standard RGB “white” colors. The compact design allows you to blend your four source colors while reducing hot-spots, glare, and multiple shadows. 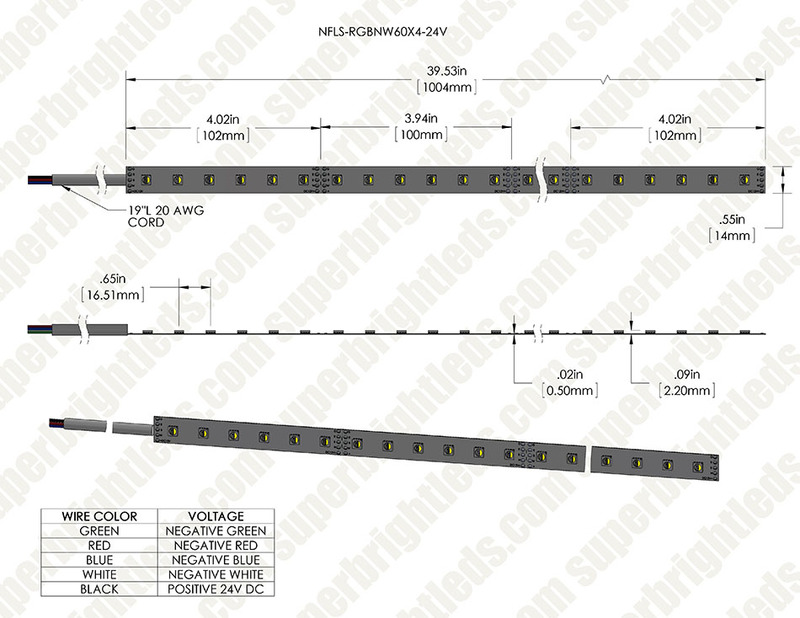 625nm/520nm/465nm wavelength, 4200K CCT. 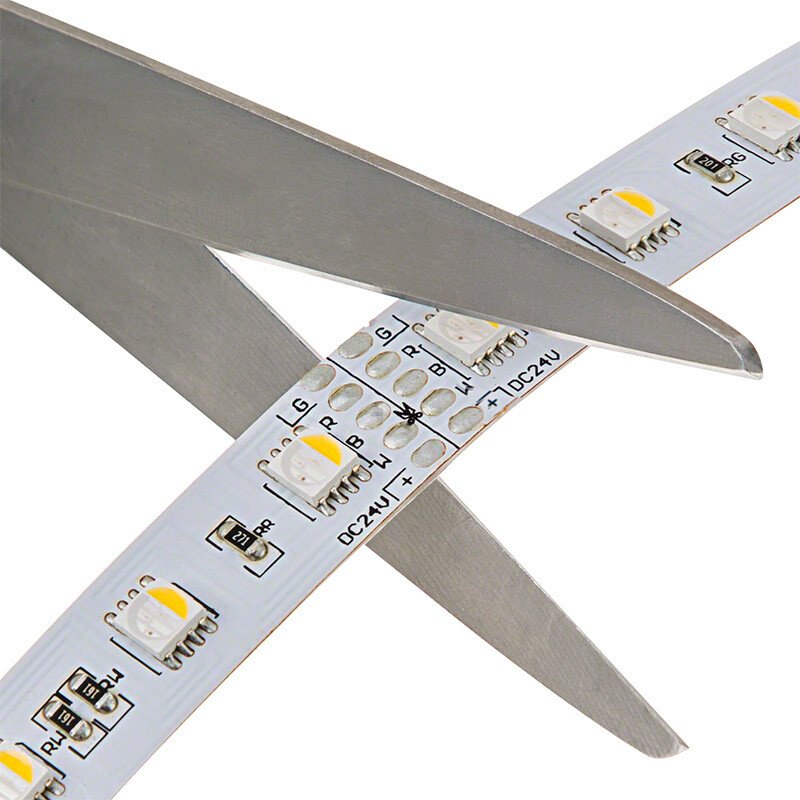 Available in 1 meter (39 in) or 5 meter (197 in) length with white finish and adhesive backing, can be cut into 6-LED segments. 24V DC operation. 120 degree viewing angle. This strip gives you All colours and All whites in the same package. Very exciting when used with the latest Wi Fi and mobile phone controllers. 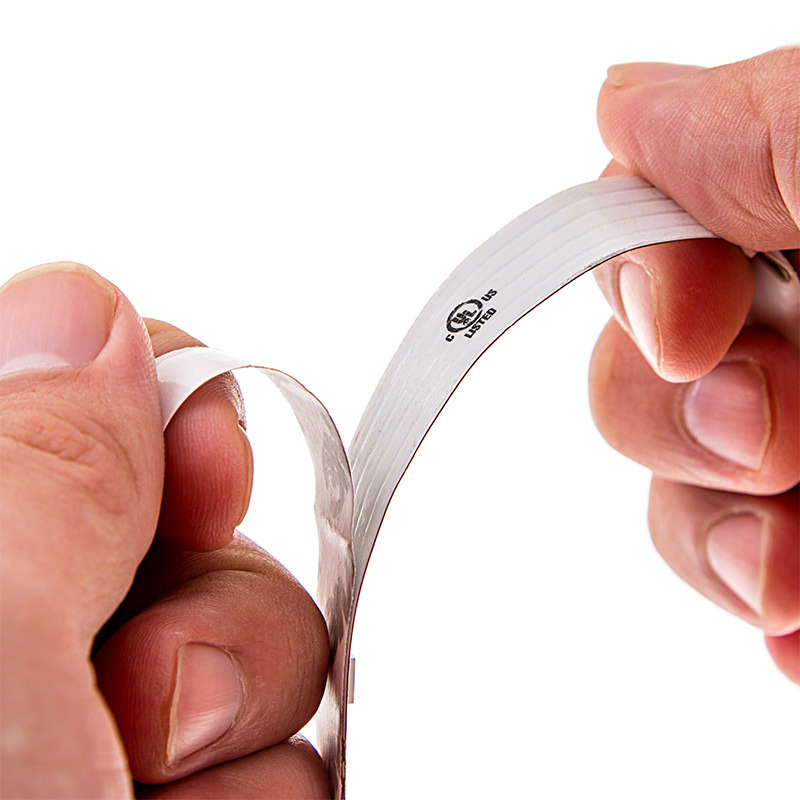 This strip eliminated the need to install rgb AND white lighting in rooms. Very satisfied with the purchase. 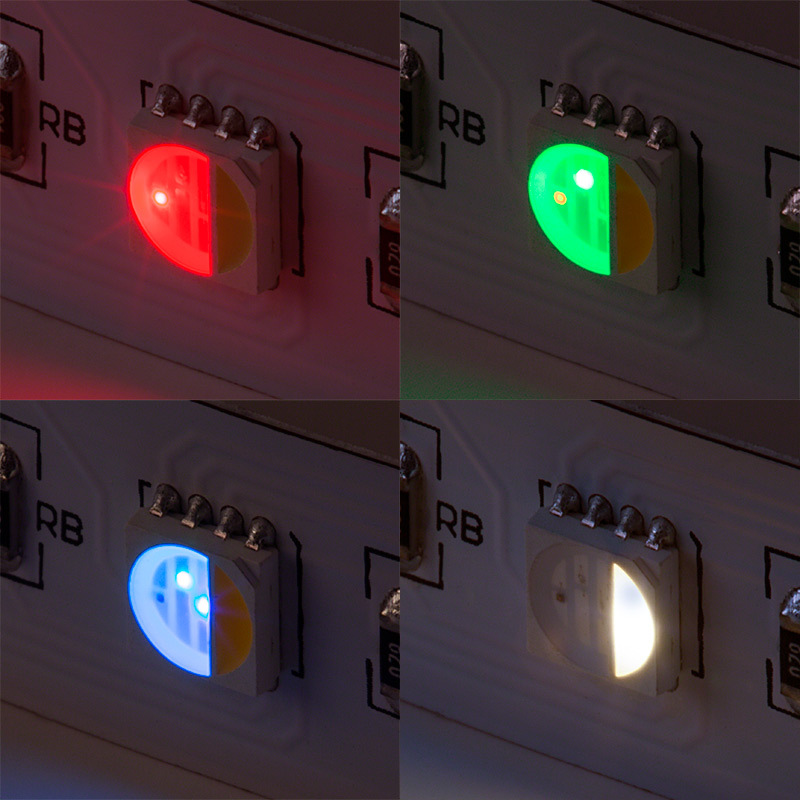 Paired them with the MiLight RGBW controllers and remote for an easy installation. 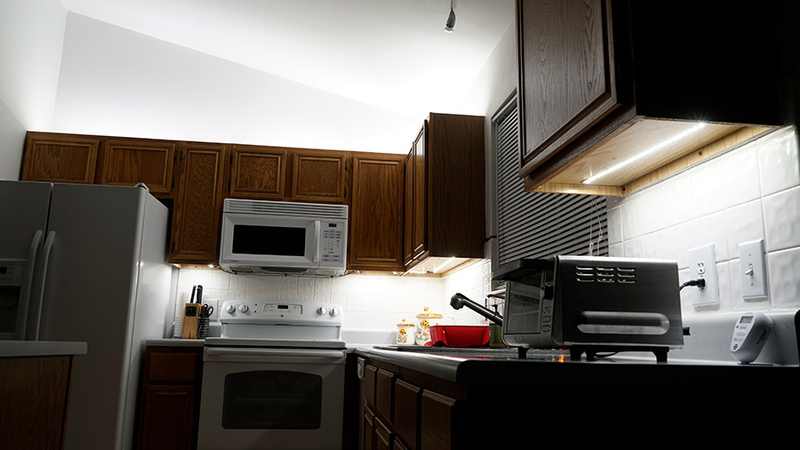 Wife was originally against the LEDs in the kitchen under the cabinets, but quickly fell in love with them. Installed them with aluminum channel and diffuser and it looks very good. I contacted support, who confirmed that this product has about the same current draw on each of the 4 channels. That makes buying a controller very easy. 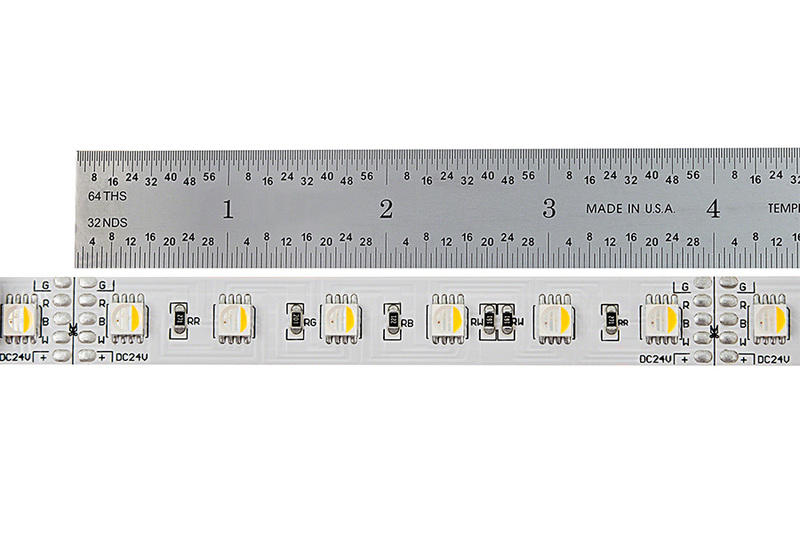 The competing 530lm/ft product draws about 3x more on the white channel, so you can see how that might make things more complicated. I haven't tried the product out yet, but will add to this review when our prototype is complete. This is the perfect rgbw strip, really. Except its width. At 14 mm, it is too wide for most aluminium profiles.